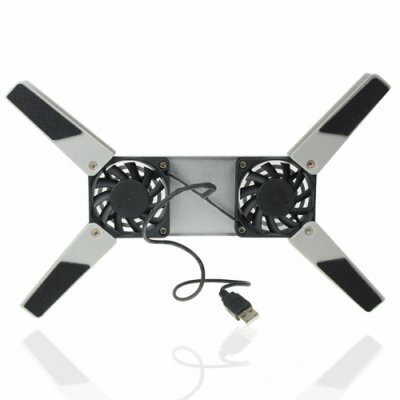 Successfully Added Portable Cooling Fan Pad for Notebook Computers to your Shopping Cart. Subnotebook and netbook cooling pad for extending the life span and running efficiency of your mobile computer. This model is made of heavy duty construction, meaning that it can handle the weight of any modern mobile computer, and has rubber grips for keeping your computer in place. In addition, the internal fans are quiet but efficient, being powered by your computers own USB port (or other USB base device), this cooler pad is a low power consumption device.